Jack Sparrow (Johnny Depp) will return in "Pirates of the Caribbean: Dead Men Tell No Tales" May 26, 2017. Depp once appeared live at Disneyland's Pirates of the Caribbean ride to promote the film series. That provocative sign has greeted riders of Disneyland’s Pirates of the Caribbean since it opened in 1967. (I personally have seen it dozens of times, having grown up in Orange County, Calif.) The ride — the last attraction overseen by founder Walt Disney before his death — depicts the sacking of a Caribbean town by a lusty band of pirates. They take the town’s women captive and sell them at auction. But not for long: Next year, the ride will undergo routine maintenance and re-open with the bride-auction scene removed. Instead, the sign will read, “Auction: Surrender yer loot” and the attractive red-headed bride will join the pirate band, sporting a rifle. This isn’t the first revision of the ride to make it less explicit, either. In 1997, instead of chasing their unwilling brides, the pirates were recast to show them chasing women holding plates of food, gluttony apparently being a more forgivable vice than lust. God forbid. Will we soon learn that country bears don’t actually play instruments? Will the Yeti of the Matterhorn offer guests flowers rather than the traditional menacing red-eyed growl? Will Capt. Hook lead a parade of snowflakes to the new Safe Space Mountain? They’re still going to sack and burn the town, right? You know who weren’t Boy Scouts? 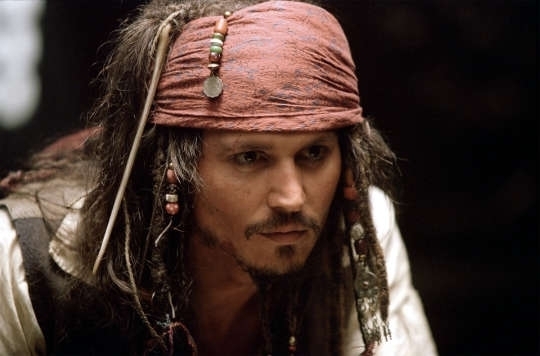 Pirates who sailed the Caribbean, stealing ships, killing sailors, sacking towns, assaulting (not just selling) women, and running from the British Navy, no Boy Scouts themselves. A pirate’s life was far less romantic than depicted on the ride and in the films it inspired. Walt Disney was more discomfited by Pirates of the Caribbean than any other ride at his enduring creation, because of the violence and evildoing depicted therein. You can dismiss ghosts at the nearby Haunted Mansion and cartoon characters in Fantasyland, but there were real pirates who did really bad things to real people in the real Caribbean. In our quest to exhume and expiate our savage, sexist, ignoble past and reconcile it with our present values, we run the risk of sterilizing our memories of yesteryear and failing to grasp the lessons that we might find useful today. Removing the bride auction (or, say, the name of Pat McCarran from our airport) because it offends modern morality doesn’t change history, or the progress we’ve made away from our less enlightened past. It just helps us avert our eyes from the uncomfortable evolution we’ve made into the present day. “Our team thought long and hard about how best to update this scene,” said Kathy Magnum, a Walt Disney executive, in a statement to the Orange County Register about the Pirates revision. Perhaps a better subject for thought would have been whether the classic scene needed to be updated at all.